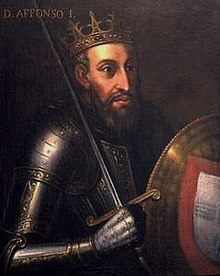 Alphonse I or Alphonzo I (in Portuguese Afonso I) (25 July 1109 - 6 December 1185) was the first king of Portugal. He is best known by his prince name Afonso Henriques. This page was last changed on 6 February 2018, at 19:40.